State University of New York Press, 9780791404256, 212pp. 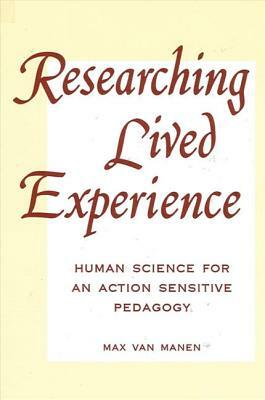 Researching Lived Experience introduces an approach to qualitative research methodology in education and related fields that is distinct from traditional approaches derived from the behavioral or natural sciences--an approach rooted in the "everyday lived experience" of human beings in educational situations. Rather than relying on abstract generalizations and theories, van Manen offers an alternative that taps the unique nature of each human situation. The book offers detailed methodological explications and practical examples of hermeneutic-phenomenological inquiry. It shows how to orient oneself to human experience in education and how to construct a textual question which evokes a fundamental sense of wonder, and it provides a broad and systematic set of approaches for gaining experiential material that forms the basis for textual reflections. Van Manen also discusses the part played by language in educational research, and the importance of pursuing human science research critically as a semiotic writing practice. He focuses on the methodological function of anecdotal narrative in human science research, and offers methods for structuring the research text in relation to the particular kinds of questions being studied. Finally, van Manen argues that the choice of research method is itself a pedagogic commitment and that it shows how one stands in life as an educator. Max van Manen, author of several books in education, is Professor of Education at the University of Alberta.